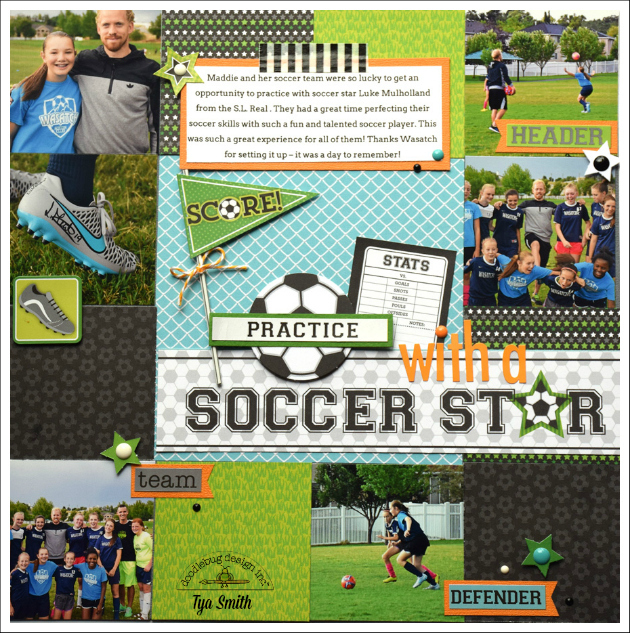 Hi Doodlebug fans - it's Tya and I am up on the blog today sharing a fun layout featuring the new Goal Collection and I must say as a full fledged soccer mom , this collection is amazing!! I was so excited to design with it! As I said , I am a die hard, tried and true soccer mom. My youngest daughter has been playing competition soccer for about 6 years now and I was tickled when I heard that Doodlebug was designing a soccer line, and it is perfect for my OODLES of soccer photos! 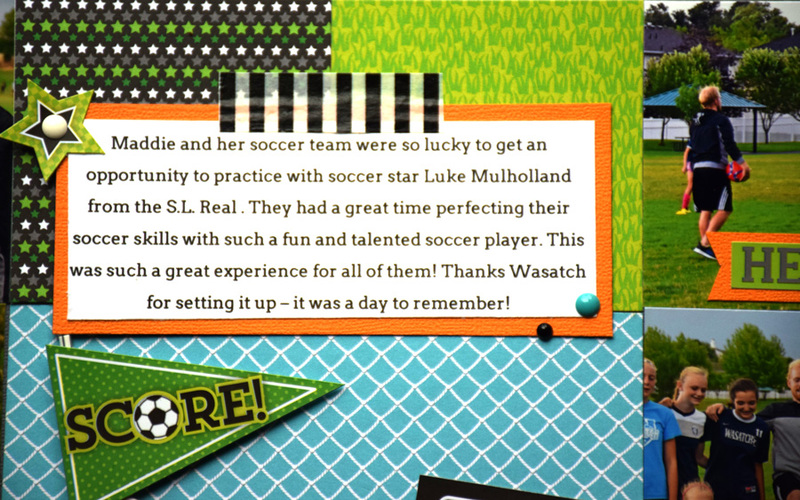 My daughter got the chance to train with one of the professional MLS soccer players from Real Salt Lake and it was so cool - So here's my layout showing some highlights of that awesome day! I used the darling black and white washi tape on the journaling block. Doesn't it look just like a referee jersey? Love it!! Doodlebug Pixies are the perfect embellishment for the pennant stickers to make an awesome looking flag. I also used one of the soccer balls from the Goal Craft Kit. 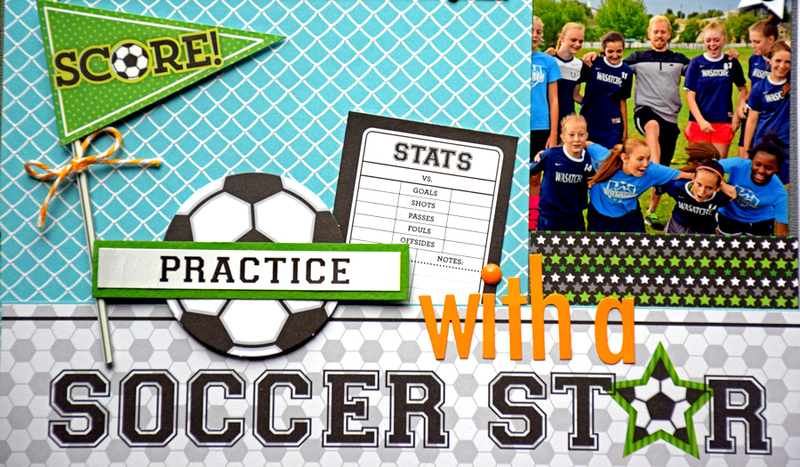 I added some Tangerine Skinny letter stickers to add a pop of color to the title. I added some word stickers from the This and That sticker sheet and mounted them on cardstock banners. The stars are from the paper craft kit and of course , I added some Sprinkles enamel dots here and there to finish of the layout. 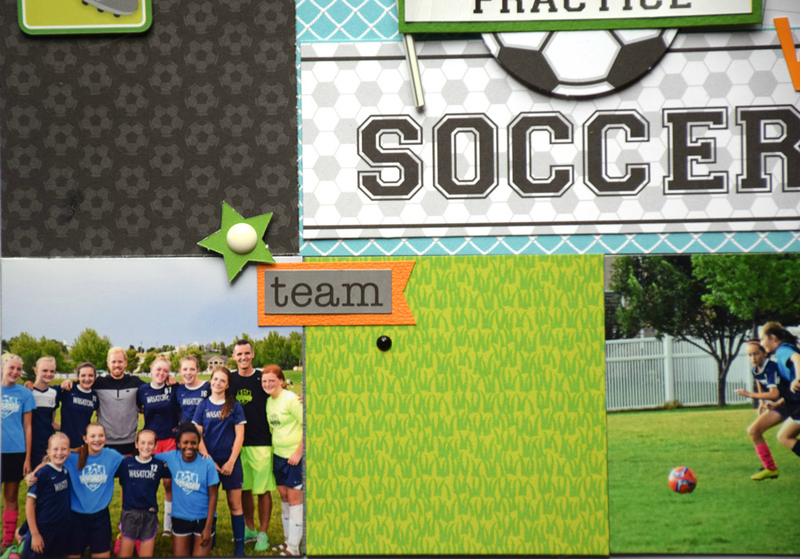 Thanks so much for stopping by today - hopefully I have inspired you to pull out all of those oodles of soccer photos you have and make a fun grid style layout with them! Happy scrapping everyone! Gorgeous project! I just love how you used the 6x6 papers, I am also a huge fan of the smaller prints. The Doodle Pixie with the pennant sticker is one of my favorite elements!